Music is indeed the second best thing after prayers that can bring you close to your Lord. Many of the churches are witnessed with magnificent choirs that are arranged for the time of worship and behind those beautiful choirs are best church pianists. Relaxing piano music takes you in to a peaceful world for worship. Even if you have been playing piano for years and are an expert pianist, there are some things that you should consider and coach yourself with in order to become a good church pianist. Just keep in mind that church music is to serve God and thus you need to put in your body, mind and heart in to playing music for church. A church choir is to serve God and thus you must keep that in mind. You don’t need to be nervous and do not need to put your expertise in to playing most difficult and complex passages. Church music needs to be soothing and relaxing and you must play it joyfully putting your heart in to it. There will be a lot of distraction as people will be there to worship and you would need to accompany singers. Thus if you have not practiced enough, you may easily miss notes and keys. Practice well in advance so that you know everything really well and can play comfortably with your singers and people around. Being a leader, if you play some wrong notes and chords the entire band would clash. Thus it is important that you remain in good frame. You can maintain a proper frame if you have learnt the song. Learning the song would enable you to memorize chords and then there will be fewer chances of mistakes. Choose songs that are appropriate for a service. You may choose different songs for services of different days and occasions. So make proper choices that suits well to the mood of the service. For example if it is celebration, you should be playing something joyful rather than something slow. Make your choices appropriately. Many of the pianists often find playing piano with their left hand really cool as it enables them to explore complete range of wide sound. Don’t overplay with left one and if there is a bass player, remember that your left hand offers a function similar to the bass player. Don’t clash with them. Use more of your right hand. There are certain hymns that create the mood and environment to encourage worship such as the Holy Holy Holy, All Creatures of Our God and Kind and others. These have magnificent sounds and have encouraging scores. These hymns bring the spirit up and playing these melodies in higher octave would prove helpful. As a good church pianist, you must know how to make a song appear more sensitive so that people gain more awareness of your music. You need to be creative but you can be creative with simple ideas as well. You don’t need to look for difficulties but make simple transitions that build in an interesting bridge between songs and music. Keep your emphasis on important beats of the song and be as versatile as you can while accompanying choruses. Learn new songs as there are so many available now and when you have knowledge of a lot of songs; you will find yourself being familiar with the grooves and background music. It may be challenging but it will aid you in catching up the rhythms quickly. You will have leading singers in the choirs and sound from your piano should be complementing their voices. You are not the only performer but you need to work as a team and band as a whole. So sit on the piano and practice scores that would suit vocals. You can fit in some sweet classical riffs and solos in the song but don’t overdo it. Let the voice of your singer appear clear in lead. 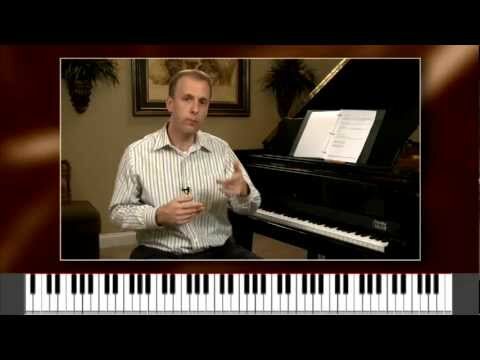 Different piano sounds can be explored and don’t be nervous about it. Experiment warmer piano sounds and don’t be scared of trying different synth sounds. Variety is the spice so add in spices to make your piano sound more interesting for listeners. Assemble everything well and your assembly may include two slow songs and one upbeat. Begin with all your energy and be enthusiastic for playing. Your style should be evangelistic and fix the mood and tempo with a proper musical mood and phase. All the churches have different services and arrangements so a good church pianist must be aware of it. The tips that we have shared here are only some practical advices but the most important thing that a church pianist should remember is that he is playing for his Lord and thus he should always be motivated, enthusiastic and energetic to play with all his heart and soul. Be prideful of playing for your lord and this advice should be remembered more than anything else. How to explore your Child’s Musical Talent?